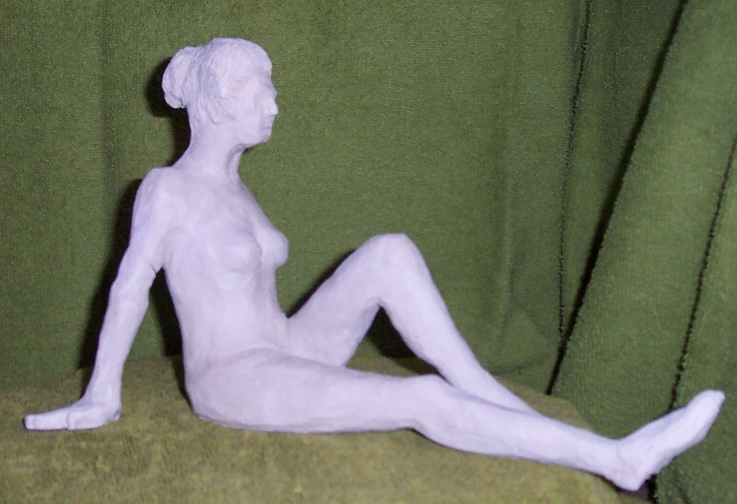 Below is my first attempt at clay sculpture. Don't know why I put this off for so long. 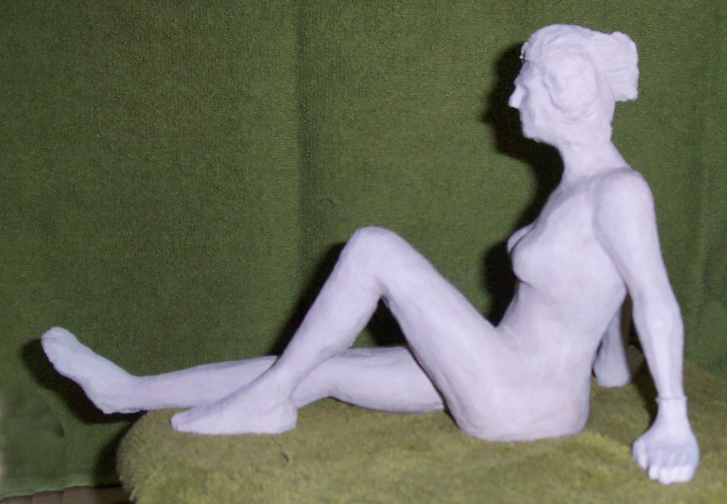 I did ceramics, on the wheel mostly, in college first time around (last century - and then some), but never tried to sculpt a figure. I did this in a 4 week class through the city rec department. 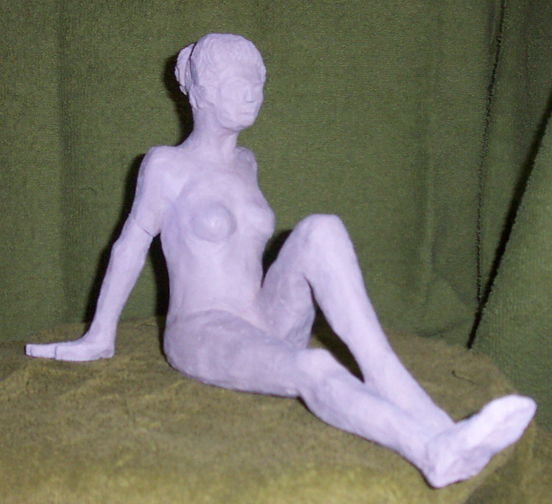 We had a model for the first three nights of the class, did cleanup the last class. 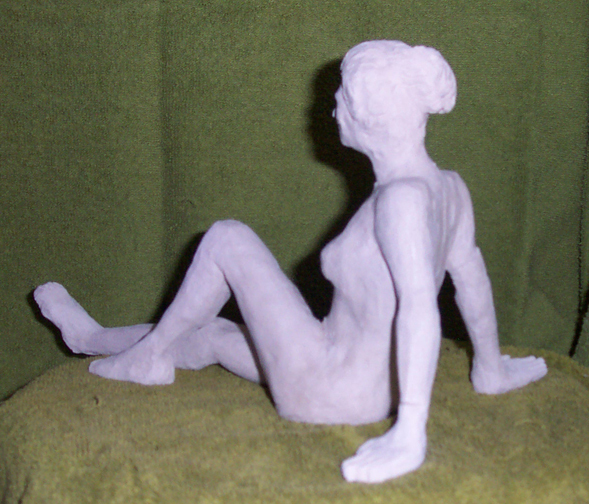 The model posed and then would turn and get back into the same pose. 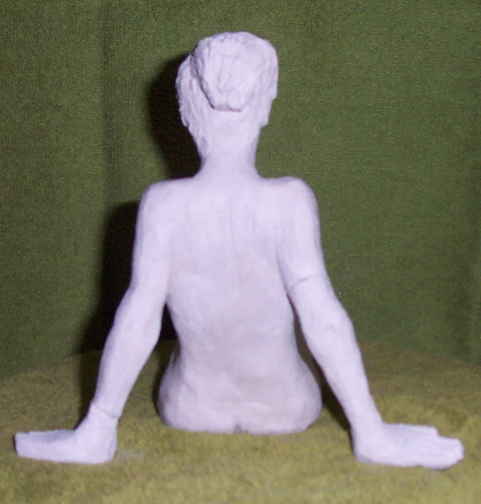 We would turn our lump of clay and work on the angle that was presented to us. I found it to be a lot of fun and not as difficult as I thought it would be. 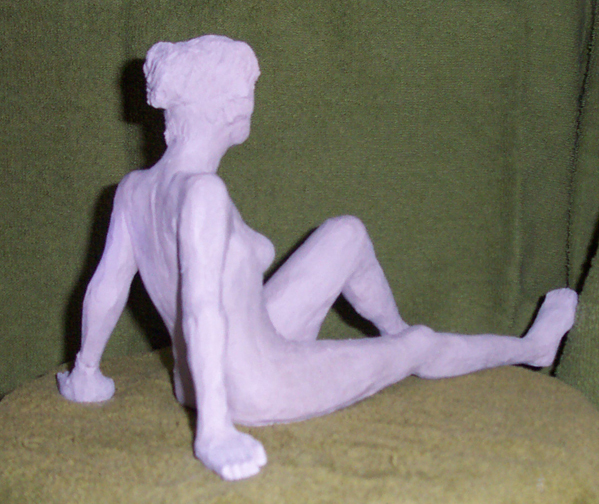 NancyOne (Nancy for the name of the model, One since it is my first sculpture) is 7 inches tall and a little over 11 inches long. 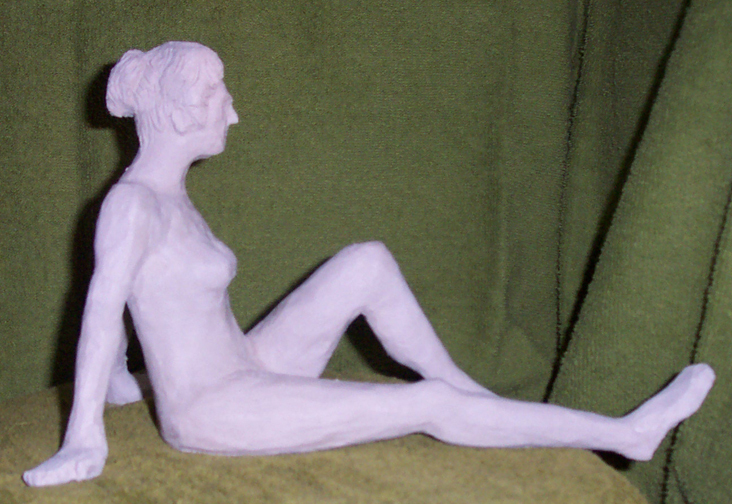 She isn't as detailed as I would like, probably because she is so small - or because she is my first. 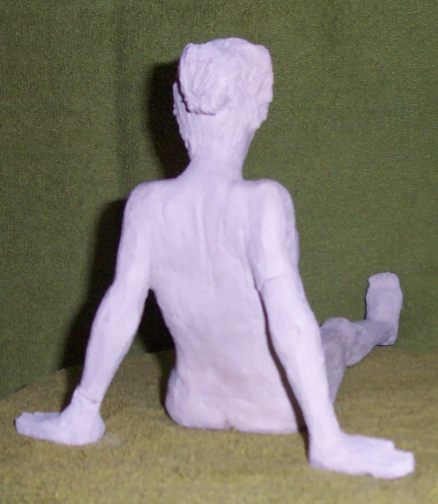 The hands and feet are a little too thick - because I found at the size I was working if I made the hands thin enough to look good the thin clay started to dry faster than the thicker clay and cracked. As it turned out, as she dried her arms and hands became brittle and broke. She is glued at her left wrist and her right palm - tried to put her upper right arm back on when I thought she was still wet enough to glue her together with slip. But her right arm is now a separate piece. You can easil see the breaks on her arms. Never had her fired. 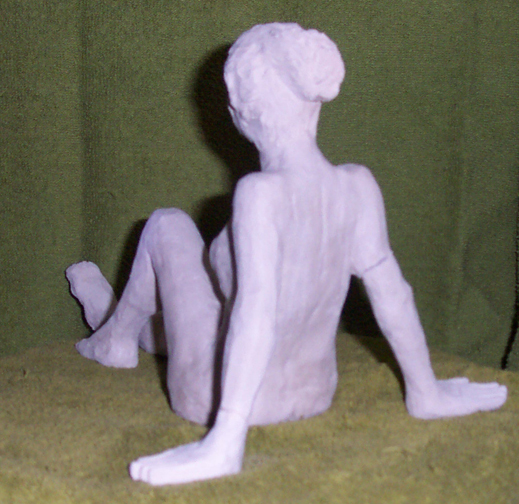 I am especially proud of her shoulders and arms from the back. There is a lot of realism in that angle.